Touch down in the one of the chicest and most design innovative cities in the world. With its cobblestone streets and terracotta and saffron colored buildings that reflect into the shimmering lake, it’s no wonder this place is a favorite of ours here at Black Tomato. With an up and coming restaurant scene and vibrant bars found across the city, it’s a place to exhilarate the senses and let your hair down. Check into the achingly fashionable Lydmar Hotel, which is perfectly placed across the bridge from the old town and a stone’s throw from the gorgeous boutiques; just make sure to make enough room in your bag for all your new trinkets. For those looking for a bit of culture, Stockholm has stacks of it. For art aficionados, you’ll find works from 17th-century Dutch Baroque master, Riddarhuset, or for those into more contemporary visuals then the Södermalm district is in no shortage of buzzing subway galleries. All that exploring the city will work up an appetite, so we’ll let you in on our favorite stylish restaurants and cutting-edge bars to indulge in some Swedish fare and tipple. 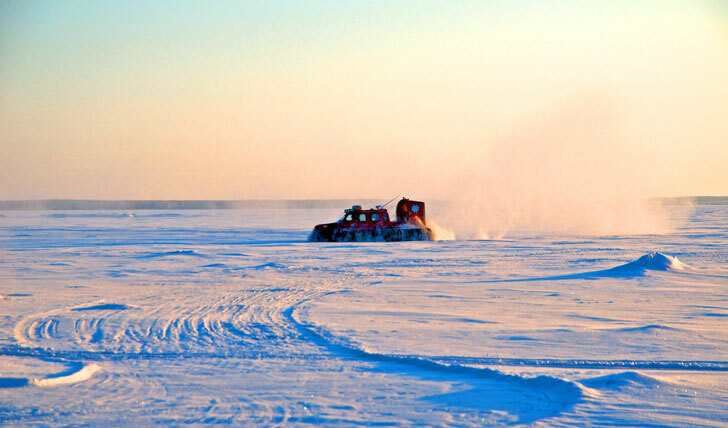 After a good nights rest at the Elite Hotel, your first adventure will literally lift you off your feet as you take off on a hovercraft trip floating 30 centimeters above the ice. See the outer edges of the frozen archipelago from a new perspective, and make sure to keep your eyes open for seals and sea eagles soaring silently above you. Let your imagination run wild for the next two nights as you hole up in one of the most imaginative hotels we’ve ever seen. Inspired by the film ‘The Tree Lover’, about three men from the city who wanted to get back to their roots by building a treehouse together, Britta and Kent Linvall decided to take it one step further. The couple has attracted some of Sweden’s top architects, helping them to build some of the most unusual, ecologically friendly treehouses which allow visitors to live in harmony amongst nature. 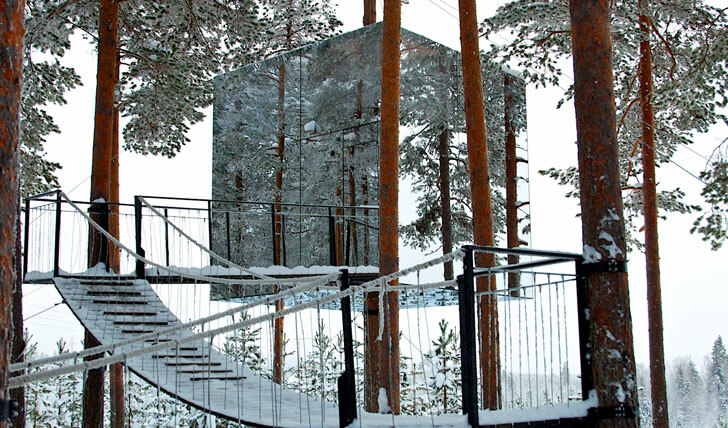 Suss out your room hidden amongst the trees, from the floating UFO, giant nest, and our personal favorite the mirror cube, camouflaged behind mirrors reflecting the forest on every angle. Today you’ll leave behind the head wintery wilderness and head back the city. Stockholm’s trend-setting haven welcomes you back to city life as you return to the luxury and familiarity of the Lydmar hotel for your last night to explore the city. There’s still enough time to do any last minute storeping you might have missed out the first time around before boarding your plane home.